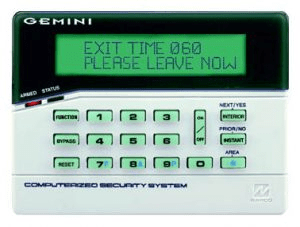 When you have finished preparing your home or business prior to alarm activation, activate your alarm system and make your exit in the time allowed. Make sure you know which doors allow exit and entry delay. Is some systems a garage or back door may activate an alarm when you exit. If you don’t know your delay time, contact your alarm company. It should be at least 45 seconds.